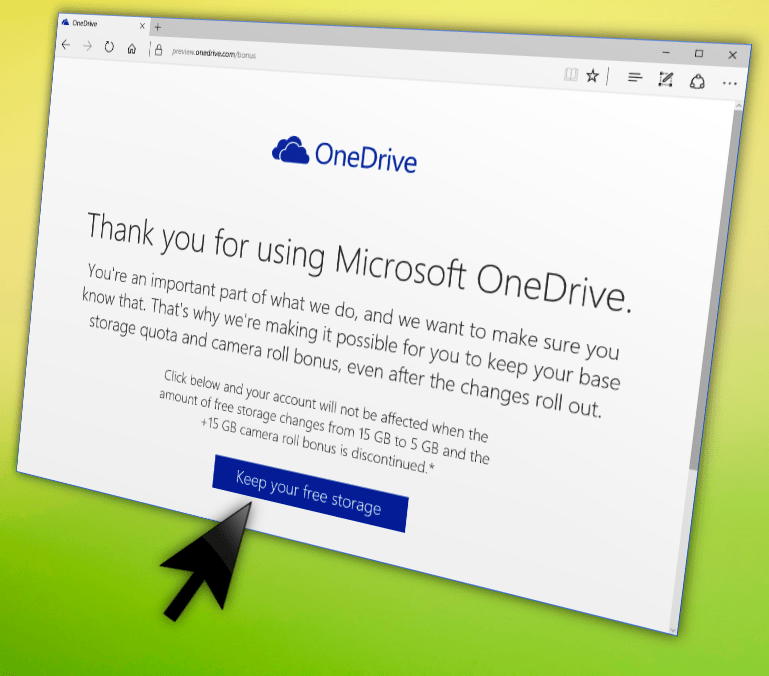 OneDrive recently announced some unpopular coming changes to the service. The storage allotment provided for free is being reduced from 15 GB to 5 GB of space, and the bonus 15 GB you get for using camera photo backup is also going away. What made this even more unpopular is that this change was not just for new users, but rather even existing active users. In short, this means users today with 30 GB of space would see their storage amounts drop by a factor of six, and told to pay up to keep using what we’d been using for years. It’s my storage and I want it now. Just head to that page, click “Keep your free storage”, and you’re done. You will not be affected when the new changes roll out. Help spread the word by clicking the share buttons below.